HAWTHORNE, CA—Citing their experiences watching recent World Cups, MLS matches, and various youth soccer games, every patron at O’Brien’s Pub offered a different, incorrect definition of the sport’s notoriously nebulous “offside” ruling. “One guy’s saying that if you pass the ball across two lines, it’s offside, but his buddy is arguing that if you can get it across the center line, it’s not offside unless you then get a scoring chance. Me? 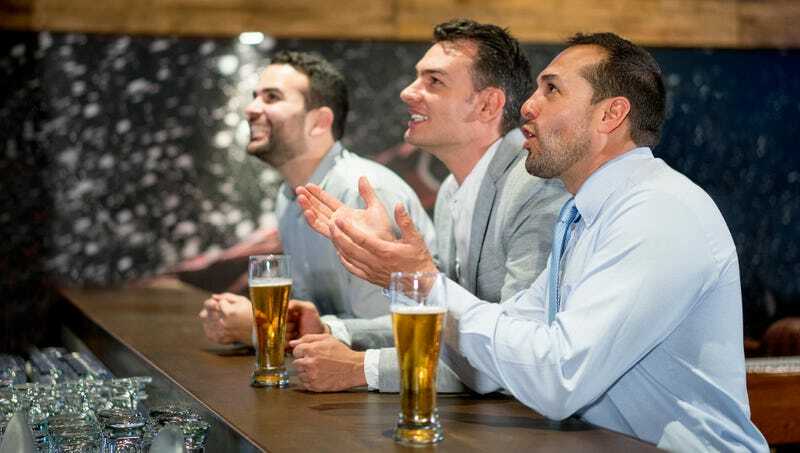 I don’t know,” said bartender Casey Walker, struggling to be heard over a customer loudly and erroneously insisting that a player cannot run past a member of the opposing team at any point, even if that player is in possession of the ball. “What we all agreed sounded correct was that if a player on the attacking side enters the offensive zone before the ball, and anyone on that player’s side touches the ball before it leaves the offensive zone, that’s offside. But it turns out that’s hockey.” At press time, all the patrons had suspended arguing over the rule until they could get to the bottom of how extra time is determined.